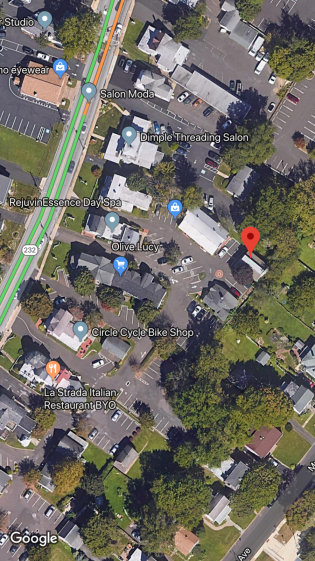 We are tucked into the back corner of the Valley Court Yard on Huntingdon Pike, aka route 232. 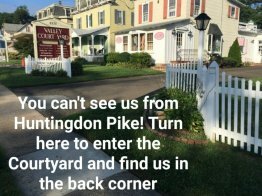 If you’re heading north on the Pike from Philmont Ave, look for three sets of small white picket fences on the right hand side. Turn right at the 3rd set (by Olive Lucy), drive towards the blue building, turn left at the back, and you’ll see us in the far corner. We’re on the SEPTA train line! From Center City Philadelphia, take the West Trenton line to Bethayres station. Head north on Huntingdon Pike - we’re less than a mile from the station. If you let us know in advance what train you’re on, we MAY even be able to come get you. You'd bring chocolate, right?